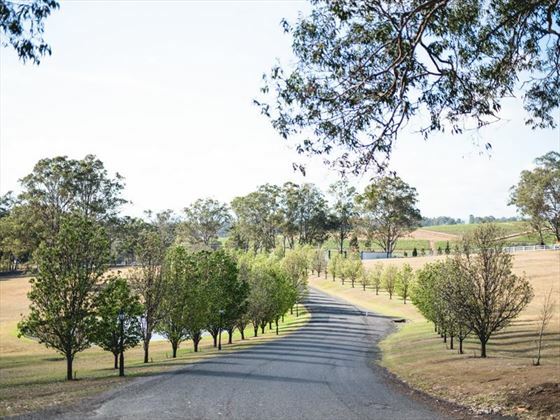 Kirkton Park is set in the very heart of Hunter Valley, one of Australia’s major wine regions, and is a fantastic choice for those in search of a premium location just minutes from the region’s most popular attractions. 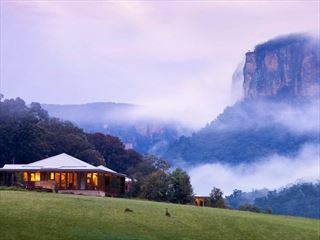 As you wind your way through the picturesque narrow lanes and stunning emerald scenery, you’ll be in awe from the views – verdant mountain peaks, ambient wineries and clear blue skies encapsulate this breath-taking region. You’ll feel relaxed from the minute you turn down the property’s tree-lined driveway, leading to a charming country manor which exudes a classic old world feel. 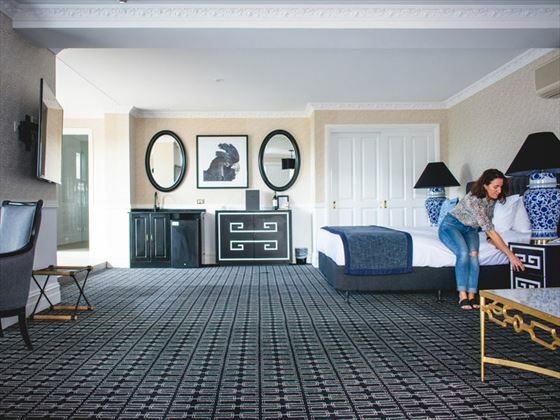 Each room and suite is beautifully-appointed with rich blue décor and elegant furnishings, offering an abundance of peaceful living space and gorgeous, unique views of the hotel’s surrounds. 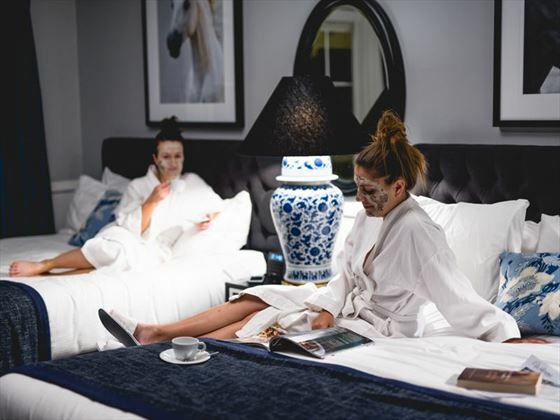 All accommodation options feature complimentary Wi-Fi, a 50 inch TV, plush king-size bed, luxury bathroom facilities and more. 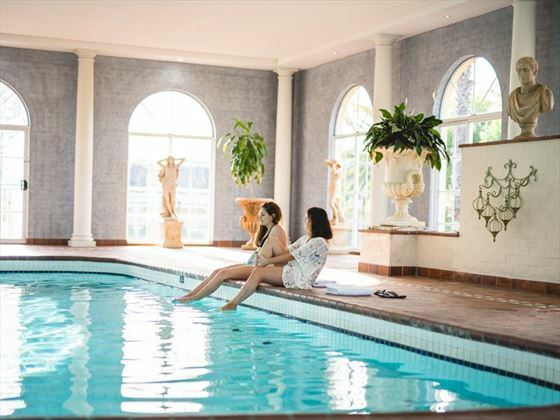 There’s also a plentiful supply of amenities to keep you feeling rejuvenated and relaxed during your time here, including a blissful spa and wellness centre, a lovely indoor pool and a charming restaurant set beside the hotel’s manicured rose gardens. 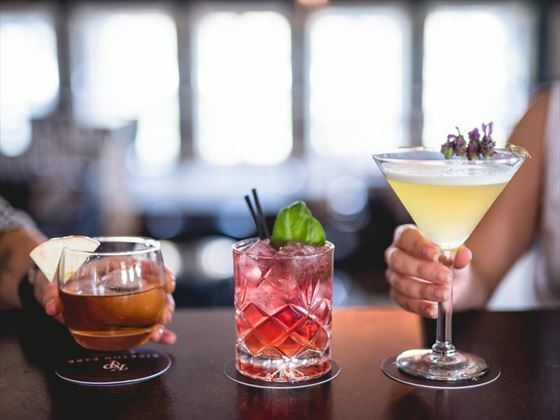 The hotel’s bar is a wonderful spot to enjoy cocktails, craft beers and fine wines after a day of exploring the vineyards. 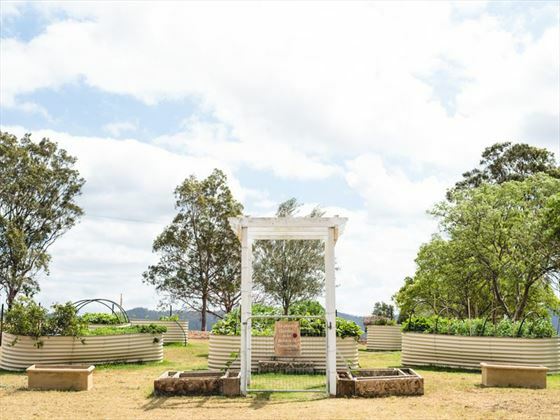 Located in the heart of Pokolbin, a lovely village found in the centre of Hunter Valley, Kirkton Park is just minutes away from the region’s most popular attractions and wineries. The property is encapsulated by seventy acres of stunning rural land, spanning over lush manicured gardens, a wholesome vegetable garden and picturesque hiking trails. 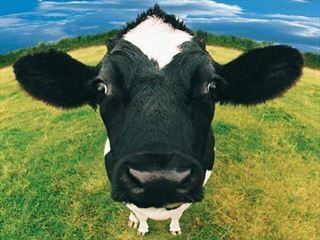 Newcastle Airport is around 1 hour from the hotel, or Cessnock Airport is around 15 minutes away. 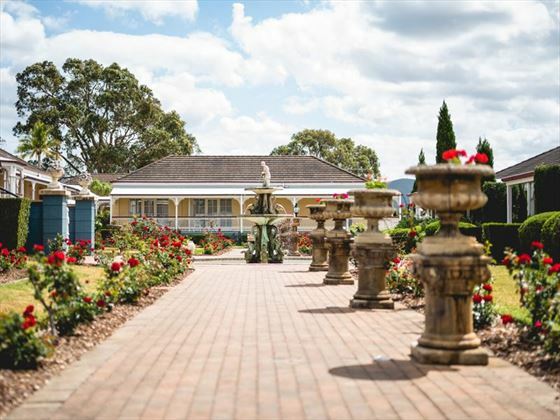 Overflowing in charm, these rooms are very elegantly-appointed, offering gorgeous views of the rose gardens or Pokolbin valley. Featuring a king-size bed, some rooms also offer a sofa bed whilst others consist of two queen size or double beds for family or friends. 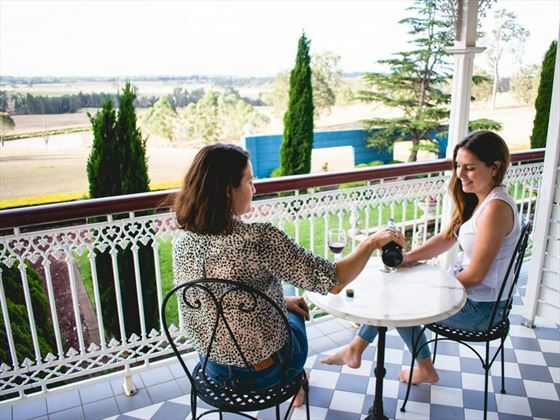 Featuring uninterrupted views of verdant vineyards and Brokenback Ranges, the Executive Rooms offer sublime views for relaxed afternoons and intimate evenings. Featuring a beautiful blend of deep blue décor and colonial furnishings, these rooms are incredibly sophisticated and bright. For a truly luxurious accommodation experience, these suites offer ample living space and unparalleled comfort for a sublime stay. 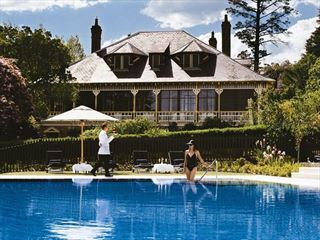 There’s the choice of four suites; the Manor Suite is located in the stately Manor House with views over the Brokenback Ranges, whilst the two Spa Suites are set in the east and west wings of the hotel, and are complete with a separate lounge room and spa in the bathroom. 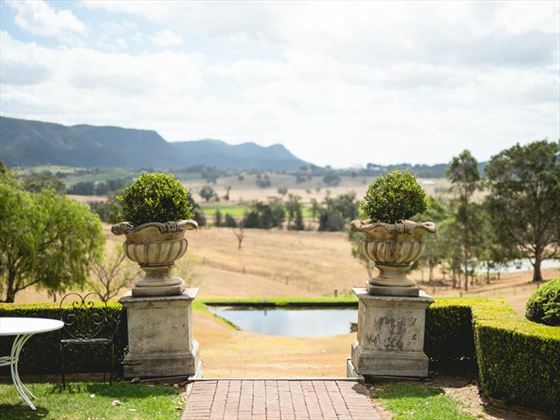 The Signature Suite boasts an expansive open-plan layout with stunning panoramic views of Hunter Valley. 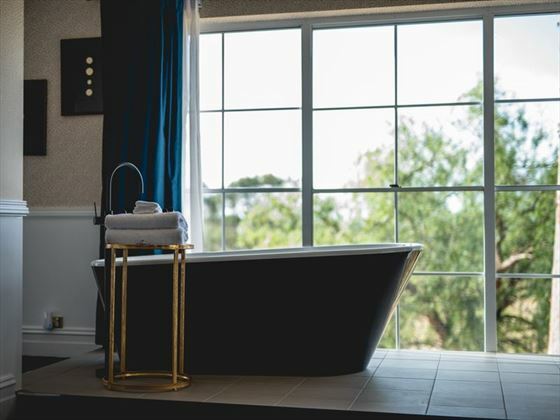 Indulge in the suites luxury touches, including a standalone bath, double shower, heated towel rail and spacious timber veranda. 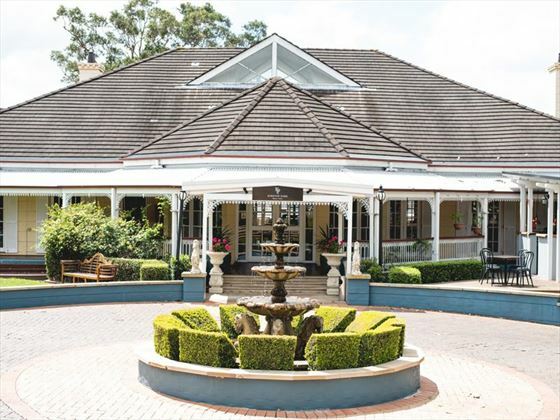 Set beside a beautifully manicured rose garden and picturesque fountain, The Conservatory delights all the senses, serving delectable breakfasts and sumptuous lunch options daily. For breakfast, enjoy a wonderful selection of hot foods and cold dishes, in addition to fresh fruit, baked goods, cereals, coffee, pancakes and waffles. You can also indulge in an exquisite high tea experience, featuring an assortment of divine sweet and savoury treats, including petit tarts, French pastries, scones and finger sandwiches with sparkling wine. Open daily from 7:30am for breakfast and 12pm for lunch. 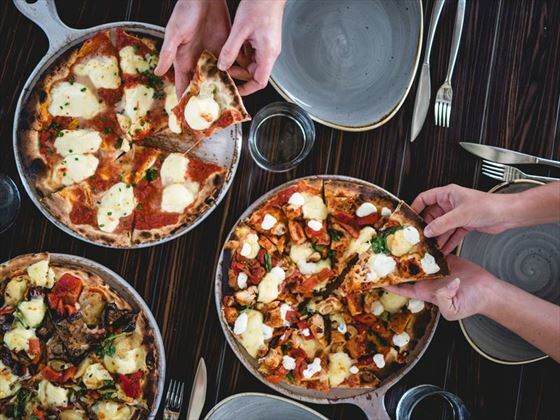 The perfect place to unwind after a day of exploring Hunter Valley’s gorgeous vineyards, Epoche offers a variety of cocktails, local wines and craft beers, as well as a light menu featuring seasonal salads, wood-fire oven cooked pizzas and ploughman’s boards. Play a game of pool or nestle into a cosy chair by the warm open fire in the winter months.